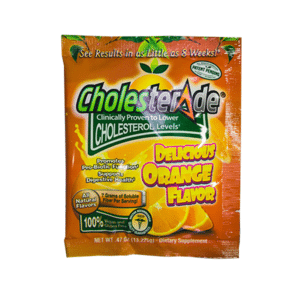 Delicious Orange flavored Cholesterade® was created by the late Dr. J. Robert Cade the creator of Gatorade® to assist individuals suffering from high cholesterol levels. 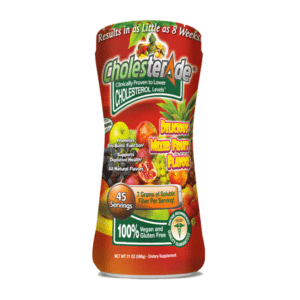 Each delicious serving of Cholesterade® contains 7 grams of Organic Acacia Fiber which provides 28% of the National Institute of Health’s daily recommended fiber levels. 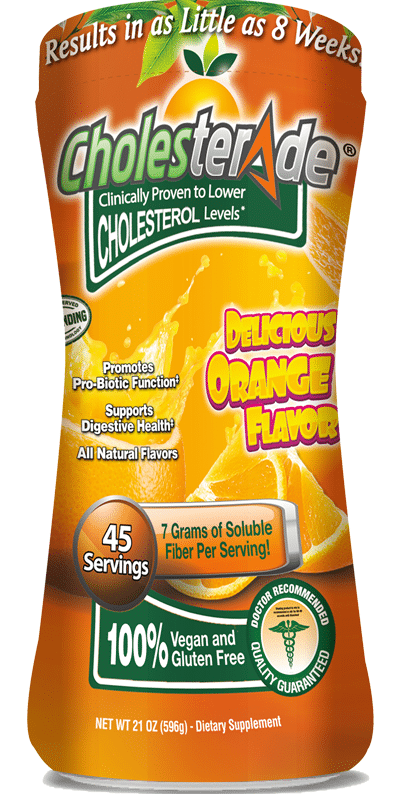 Cholesterade® contains no Preservatives, Artificial Ingredients or Gluten. 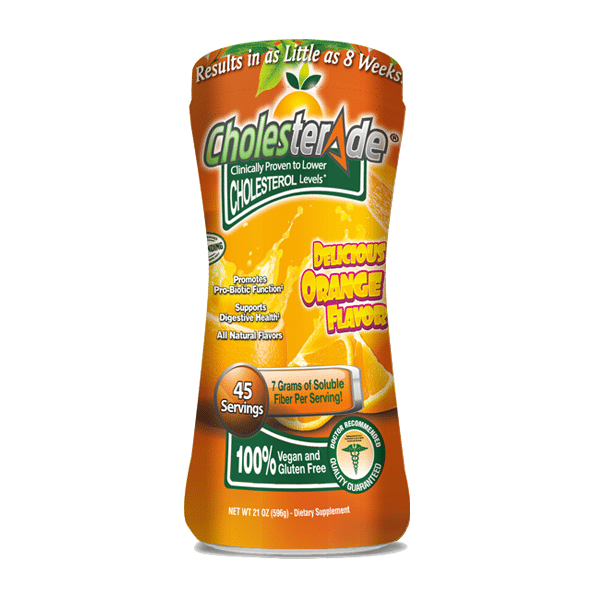 Add 3 level scoops of Cholesterade® to at least 8 ounces of water or juice and enjoy the great taste and multiple health benefits. 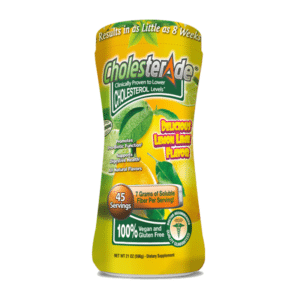 Cholesterade® is known to directly improve cholesterol levels, it helps remove digestive toxins, promotes pro-biotic function which helps overall gut health, helps curb appetite safely promoting weight management and weight loss. 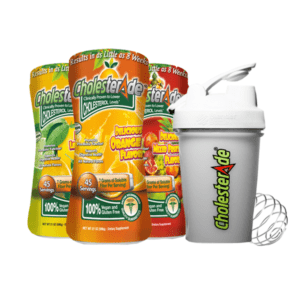 Available in three great flavors: Mixed Fruit, Lemon Lime, and Orange.